Most buying journeys still end offline. This insight leaves marketers with the challenge to help customers find the store they are promoting. As a result, 78% of customers need to know where the store is. If this isn’t the most convincing argument to use location-based marketing approaches in your customer communication—then what is? Marketers now need to combine online and offline touchpoints to generate awareness across all touchpoints and sustainably drive business to the point of sale. To help your customers approach the right audience with a relevant offer in order to drive traffic to their business locations, it’s essential to determine the distance and time a customer would travel to make a purchase in your vertical market. Using geo-based services, you can draw circles around the most likely customers for individual business locations and omit those that are more likely to not visit your shop—for example due to a long distance. ZIP codes don’t reflect real life distances. For example, 5 miles can take a lot longer if you have to cross a bridge 2 miles in the other direction. On the other side, people can live in a different ZIP area and still be just a block away from your location; you sure don’t want to lose those potential customers, right? It’s been long proven that a single channel approach isn’t the best solution to create successful customer communications. 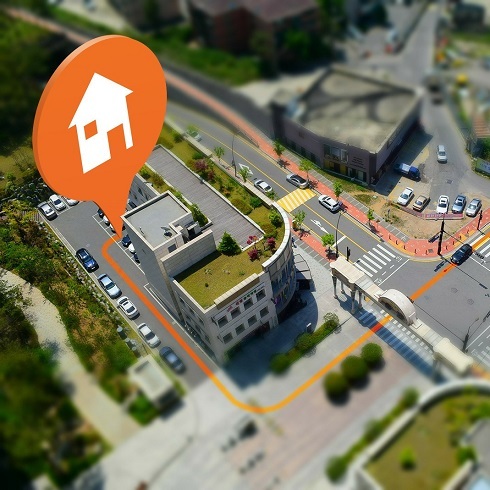 In an omnichannel approach, marketers can use location-based services to bridge the offline and online touchpoints. Let’s take direct mail as an example. Compared to other channels direct mail can be precisely targeted and has a high response rate—which makes it a strong marketing tool in an omnichannel approach. Businesses that want to promote their location locally can use a direct mail piece to follow-up buying behavior online; like a recent purchase, customer service contact or newsletter sign-up. A printed postcard can also be the ideal tool to support online activities, like the promotion of an event or a newly opened branch. In conclusion, local marketing is an effective marketing approach for brick-and-mortar businesses that want to connect their online and offline revenue. Using printed direct mail, these businesses can take advantage of the high engagement for printed communications. Combined with their online and digital touchpoints they can create a sustainable omnichannel experience for their customers. Contact your local locr representative to discover the benefits of geomarketing solutions for your business!